Washington D.C. – Our beautiful FLOTUS attended the opening ceremony for the Bunny Mellon Healing Garden today. 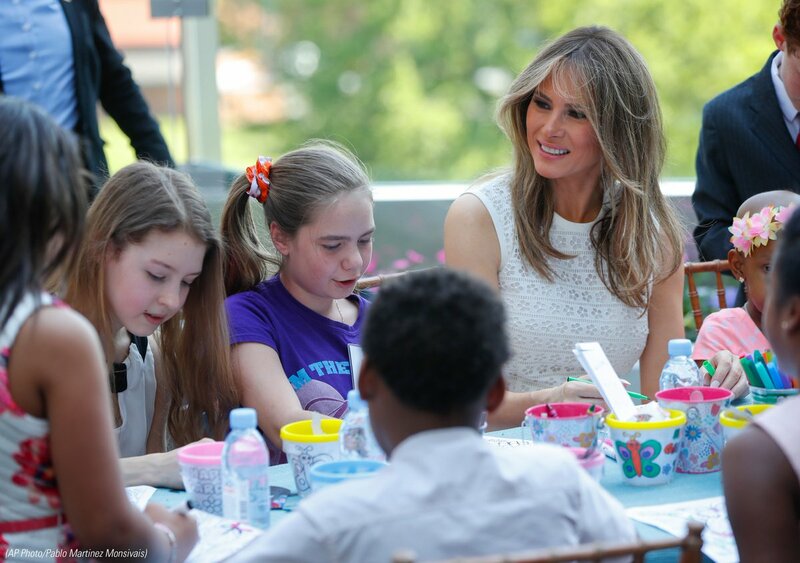 This healing garden is dedicated to the First Ladies of the U.S.
First Lady, Melania Trump exuded warmth and class as she sat with a group of children who are staying at Children’s National Hospital. She colored and drew pictures with them following a ribbon cutting ceremony. 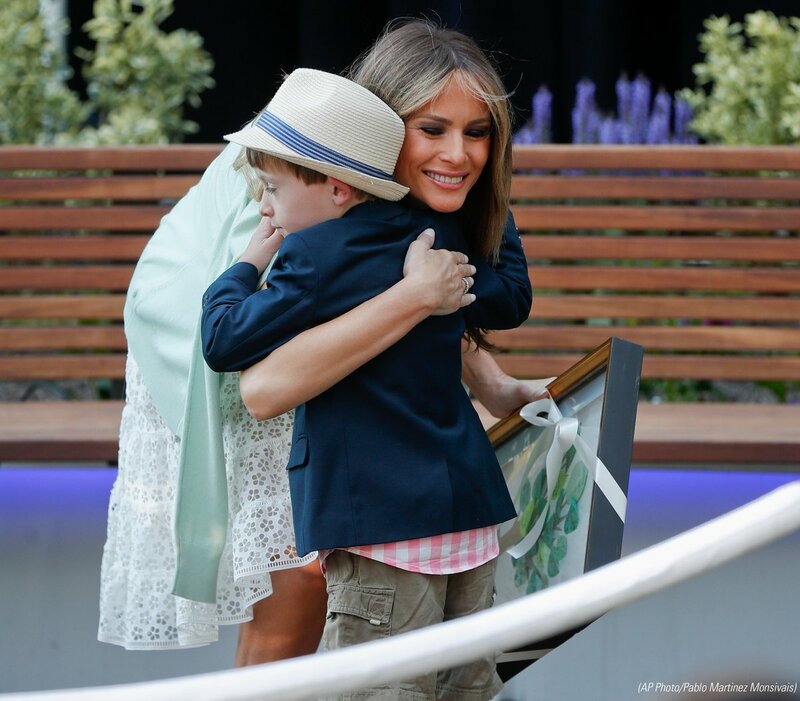 FLOTUS hugging a child, the most innocent and precious of our society. WASHINGTON (AP) — Kids being treated at Children’s National Medical Center in Washington now have a new way to forget about their troubles. They get to go outside. A new healing garden at the hospital opens Friday. It was inspired by a patient whose dying wish was to go outside. The hospital was able to grant that wish and then committed to making it easier for patients to get fresh air. The garden is dedicated to the first ladies of the United States. All of the living first ladies agreed in 2014 to serve as honorary chairs of the garden, which was built in part with a $5 million donation from the estate of Bunny Mellon, the late Washington philanthropist. It’s located on what used to be a gravel rooftop.